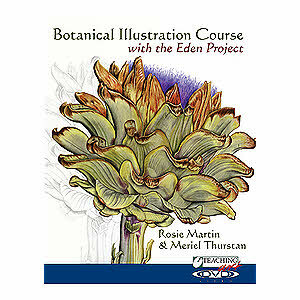 Meriel specalises in botanical illustration using watercolour and has been inspired by working at the Lost Gardens of Heligan and later at the Eden Project, where she was a pivotal member of the Friends team. Meriel holds an RHS Silver Lindley medal for her exhibit of Fungi Found at the Eden Project, and a Bronze medal for watercolours of potatoes. The eight potato paintings have recently been hanging in the offices of a local company that packs potatoes for Tesco!